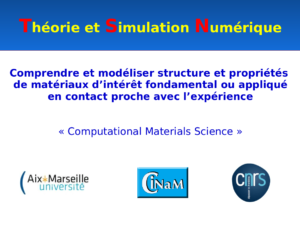 At present I’m working in the TSN group “Théorie et Simulation Numérique” (Theory and numerical Simulations) at CINaM. If you want to know what people do in this group, have a look to this short presentation on our research activity. Contact us for possibility of master, PhD or post-doc positions.